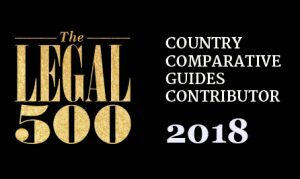 The Legal 500 today published its Litigation Country Comparative Guide. The aim of the guide is to provide readers with a pragmatic overview of the law and practice of litigation and dispute resolution across a variety of jurisdictions. Maltin PR contributed a thought leadership piece to the ‘hot topic’ section of the guide entitled ‘The role of Litigation PR both inside and outside the courtroom’. The article discusses the increasing necessity of a rigorous Litigation PR strategy that is integrated within the legal strategy, particularly in complex cross-border commercial disputes. Maltin PR outline the importance of an asymmetric approach to Litigation PR, which utilises a diverse range of resources to help control narratives emerging both inside and outside the courtroom. The article appeared in The Legal 500: Litigation Country Comparative Guide, and the full guide can be read online here. King Pyrrhus of Epirus famously said: “If we are victorious in one more battle with the Romans, we shall be utterly ruined.” He was talking in 279 BC about the large number of soldiers he had lost in the battle of Asculum, but today he could just as easily have been referring to the high cost of litigation, or the pitfalls of winning the legal battle inside the courtroom at the expense of losing the communications war outside it.